Shiny Talisman Inc. is a small indie studio conceived during the summer of 2013. Still boasting just a single employee, Brad toils through the trenches coding, drawing, and making (and then recording) strange noises. Yet despite all his charges, he seems to always be smiling. Does a smile really exist if there’s no one else to see it? Of course it does: the bathroom has a mirror and I checked. 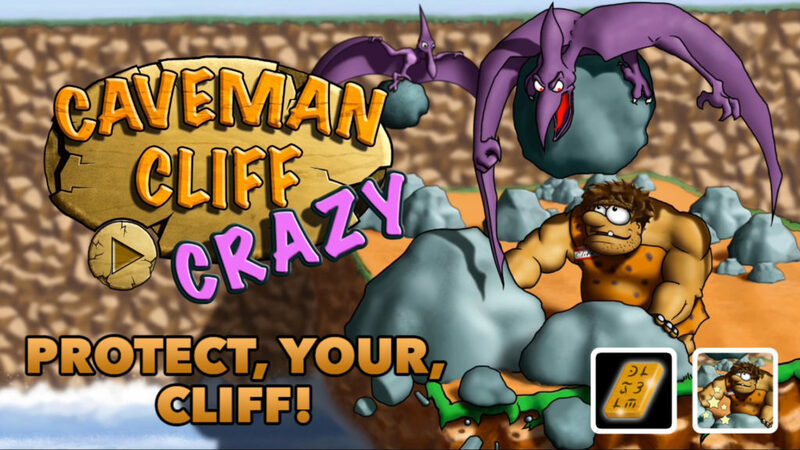 Caveman Cliff CRAZY is a spin-off of iOS original Caveman Cliff. The first time we saw Cliff, he was trying to clear off the cliff so that he could build himself a home. 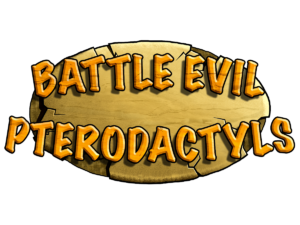 This time it’s all about revenge: all Cliff wants is to drive the pterodactyls CRAZY. 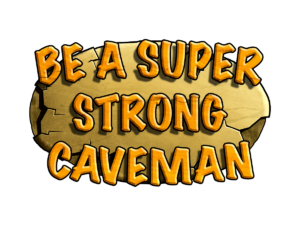 You have 90 seconds to push as many boulders off the cliff as possible. 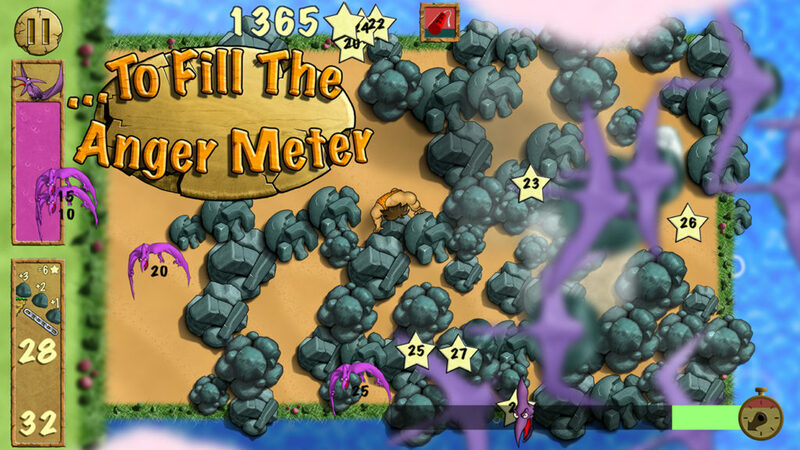 Group boulders together to get score multipliers but also to fill the anger meter; the dinos get mad when groups of 5, 10, 15, … fall into the water. 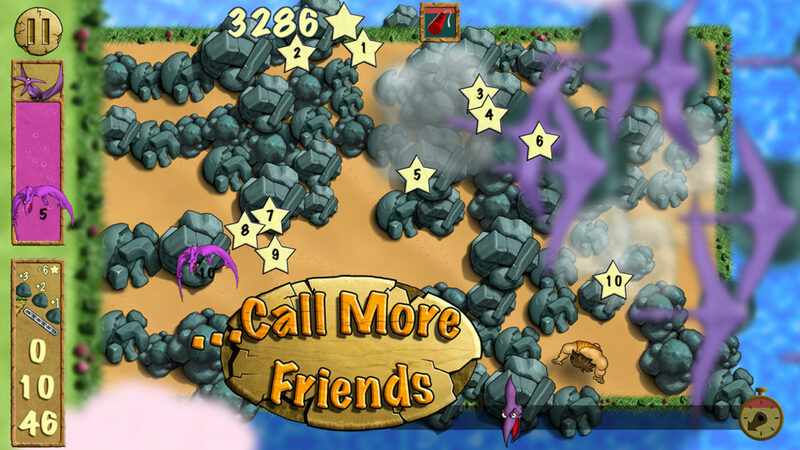 Angrier pterodactyls will call more of their friends. 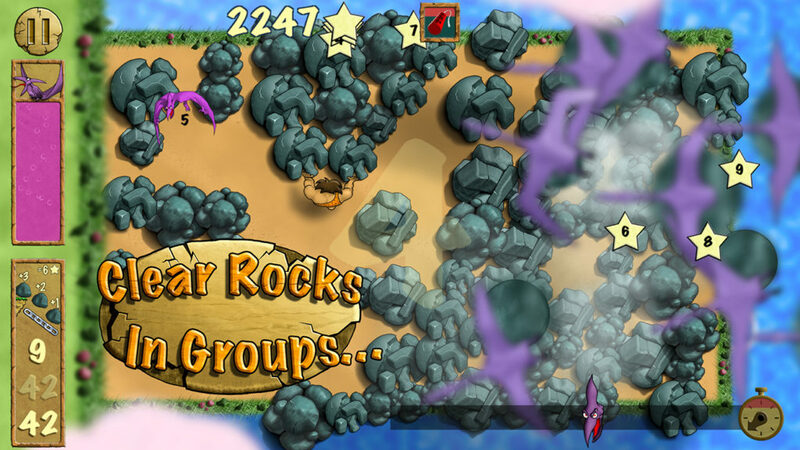 More dinos = more boulders = more stars. Can you get 10,000 stars in 90 seconds? Start by pushing all of the rocks together into a group instead of just pushing them over the edge 1 or 2 at a time; remember, it’s all about the boulder chains. Grouping a bunch of rocks together and then shoving them over the side all in one go will earn you bonuses and fill the meter! You’ve got biceps as big as your head. Use ’em! 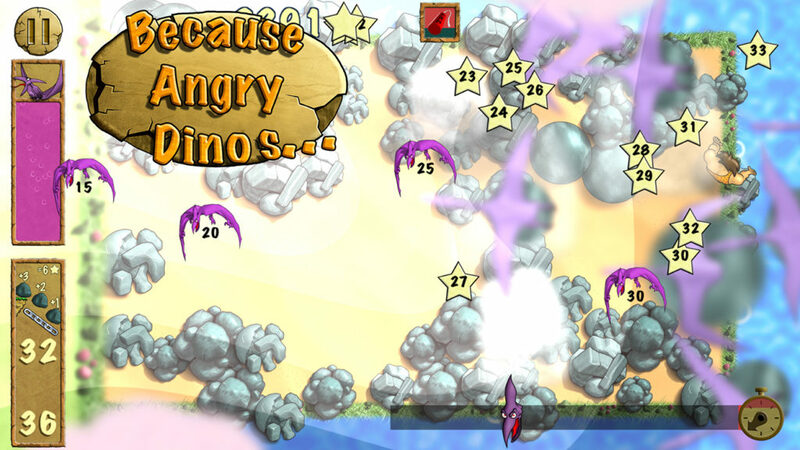 On game number 3 you’ll unlock the dino-might (one of the favourite features of the original Caveman Cliff). 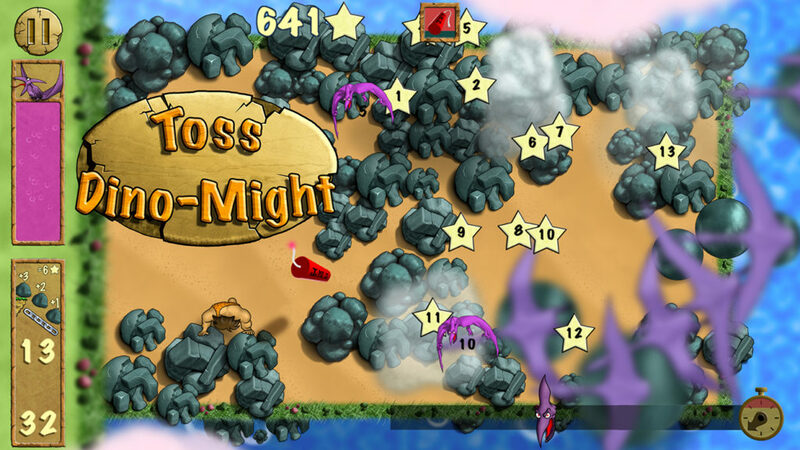 Use it (as well as the bomb dropping pterodactyls) to bridge the gap between 2 rock chains. If you have to run over to another group of boulders make sure an explosion is pushing rocks over the edge while you’re not; it’s a great way to combine chains together! There’s a full set of Game Center Achievements to strive for, though some are incredibly difficult. 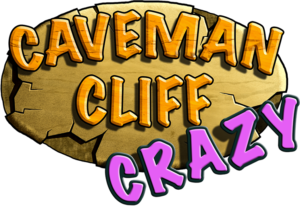 Try and earn “The Original Caveman Cliff” by clearing the cliff of rocks, or attempt “Extreme Original Caveman Cliff” and actually have the cliff empty as time expires. Good luck; you’ll need it. Also, find your spot at the top of the cliff on the Leaderboards.